Don't be misled by the name, Prototype is no half-finished effort. 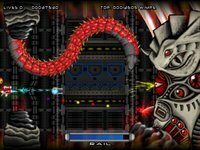 Featuring a pod that you can use to direct your shots, the game only showcases one level but it's long enough satisfy most shooter veterans. There are quite a number of power-ups to collect, which is always an added bonus.